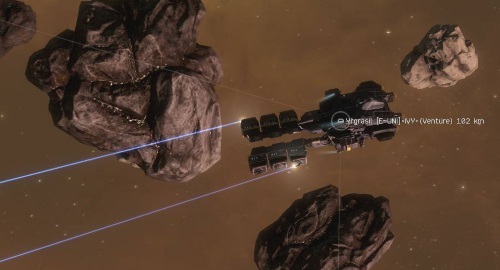 Previously, on MinerBumping... Reaver Ventris was a newbie in danger of missing out on EVE. 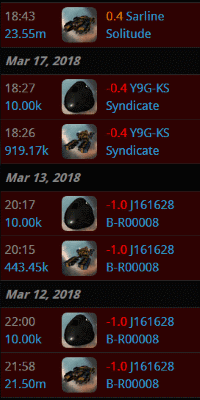 To be sure, he had an EVE account--but only in the technical sense. He was a highsec miner and was surrounded by other miners who encouraged him not to obey the Code. Only Agent Bob the Fourth could save him from getting bored and quitting the game. 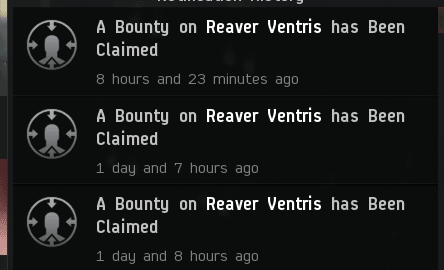 Bob sent Reaver a contract with a couple of gank ships. Reaver accepted the contract, but there was no way to know if he'd actually try to use them. 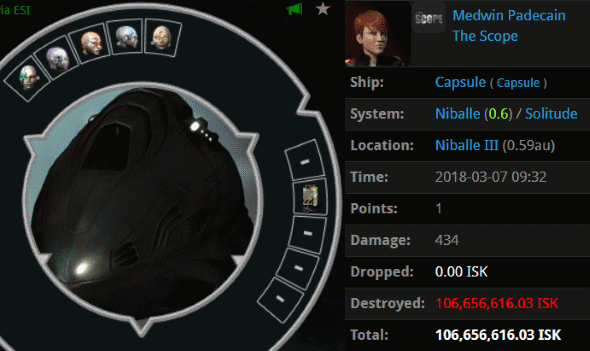 Placing the "mark of 315" on the miner paid off. Bob was notified that Reaver had been losing ships. There was PvP going on here. The next time Bob saw Reaver in system, he monitored the young miner closely. 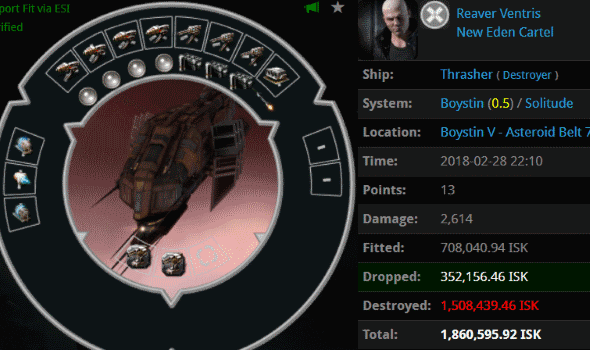 Bob detected a Venture in an asteroid belt--but it didn't belong to Reaver. The Venture belonged to Reaver's intended victim, one of the newbie's fellow miners. Needless to say, Reaver's attempt at assembling a gank Thrasher had ghastly results. On the plus side, he had at least tried to gank a miner, instead of being one. Reaver's target took the betrayal in good stride. It was as if miners don't mind being attacked by one another--as long as the gank attempt doesn't succeed, that is. After failing at ganking, Reaver returned to a life of unlicensed mining. Bob spotted him and gave him a sharp reminder of where that road leads. The next day, Agent Bob ganked someone else's Retriever. The miner was so AFK that she didn't bother to evacuate her pod, even well after her mining barge exploded. This presented Bob--and Reaver--with an opportunity. 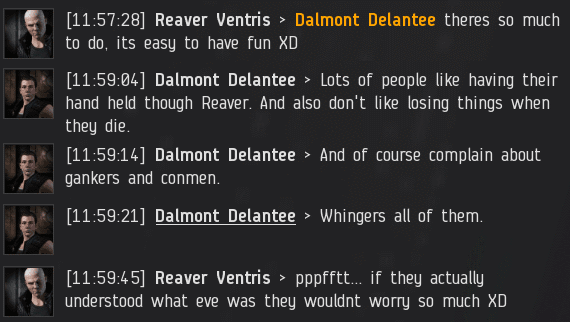 It was time for Reaver to get his first proper taste of EVE. 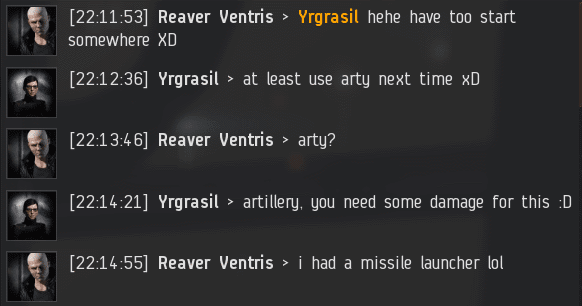 The newbie glided up to the the still-AFK pod and popped it with a blaster Merlin. Success! Later, Bob observed Reaver and another carebear-turned-ganker conversing in local. Our Agent's influence--and that of the Code--was keenly felt in the Solitude region. Before, the "ganking is bullying" crowd held sway. Now a new philosophy was taking root, even among the miners. As for Reaver, he continued mining, but he left highsec behind. Bob approved. If only all carebears were as receptive to the truth as Reaver Ventris. Good job Agent Bob, and potential agent Reaver. What a heartwarming tale of the first steps on the right path. A great win for the Code, agent Bob and even for the miner!